I’m a total cat lady and I love to spoil my girls- Luna & Cherry. They’re indoor cats so I like to treat them to a taste of the outside by giving them wheatgrass. 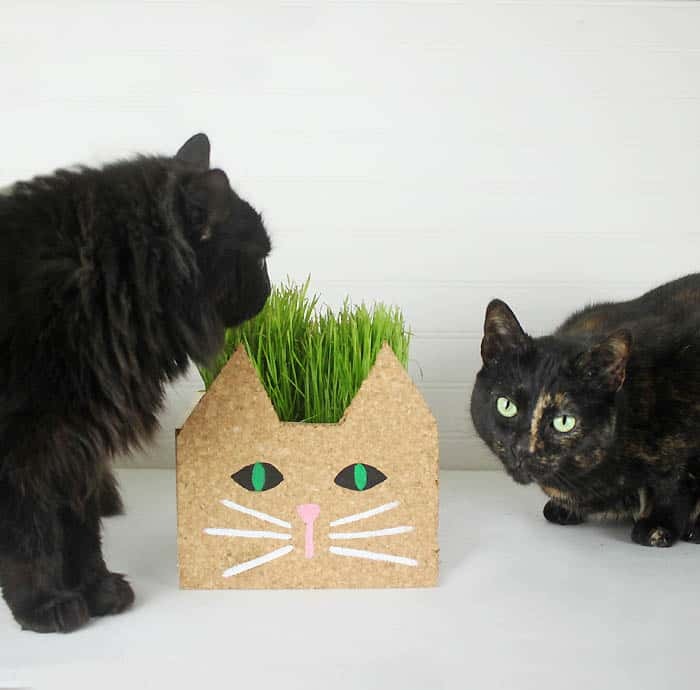 Wheatgrass is great for a cat’s digestive health and it contains plenty of vitamins. I also make sure to feed them food specially formulated for indoor cats. I’m all about wholesome food and real ingredients so today I teamed up with Rachael Ray™ Nutrish® Indoor Complete Chicken with Lentils & Salmon Recipe. 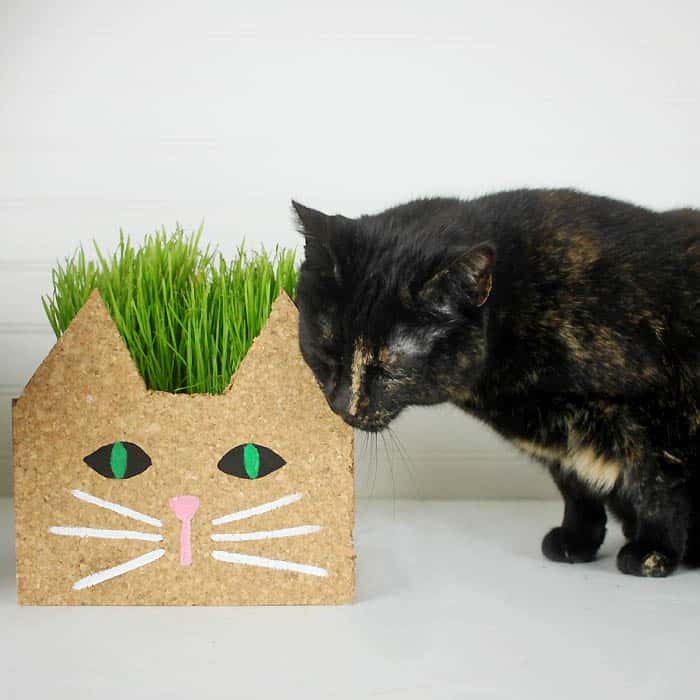 I’m going to show you how to make this DIY Cat Planter (perfect for holding wheatgrass!) 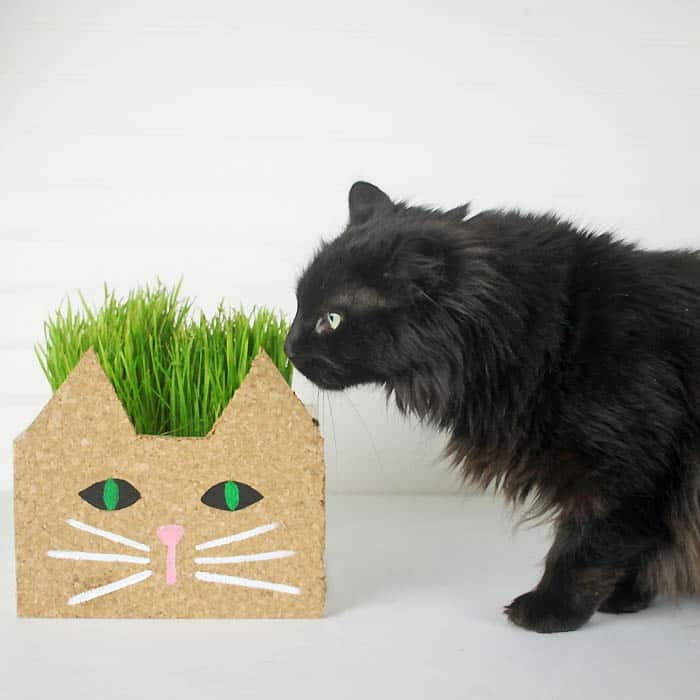 to give your indoor cats some extra love! addresses the indoor cat concerns of weight, digestion, and immunity. 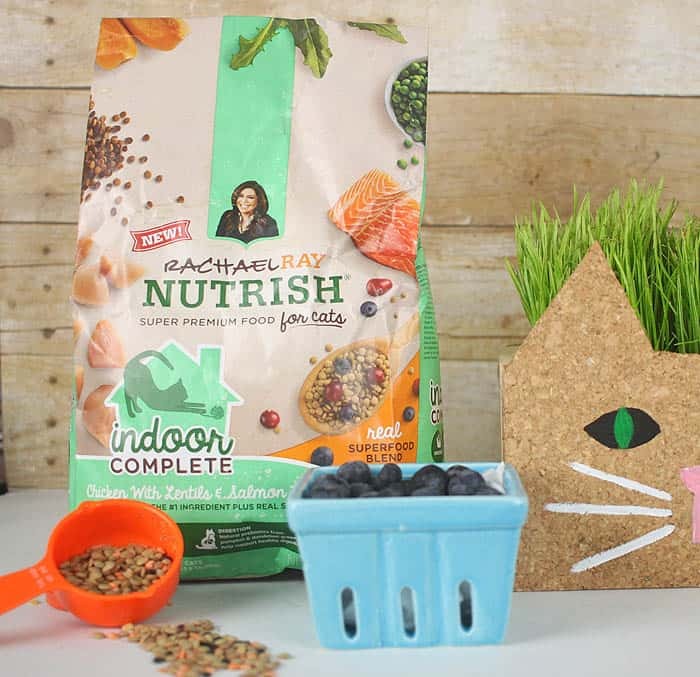 It contains a real superfood blend (complete with antioxidant rich blueberries) to meet the complete needs of your indoor cat. Whenever I buy food for my cats I always make sure a “real”, quality ingredient is first on the list. Nutrish Indoor Complete passes the test with Real U.S. farm-raised chicken as the #1 ingredient, plus real salmon. What’s also important is what it doesn’t have, and that’s no ground corn, wheat, soy, poultry by-product meal, artificial preservatives, or artificial flavors. 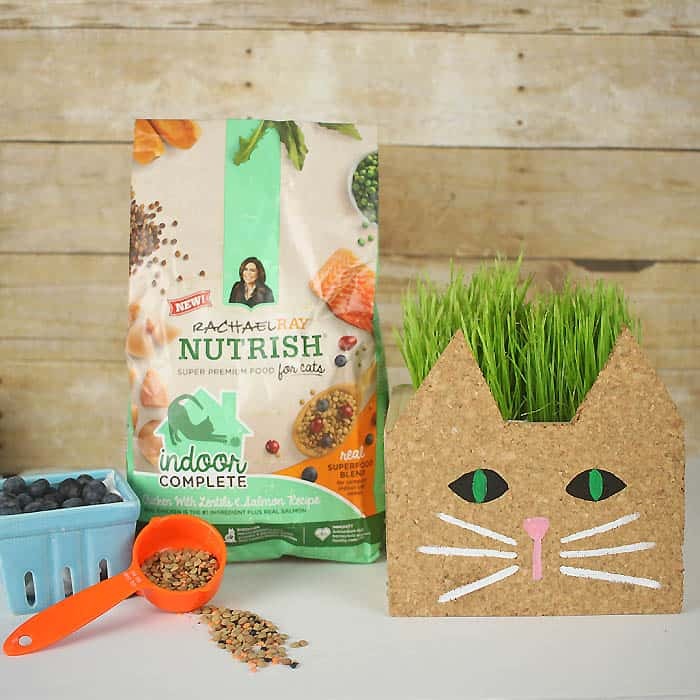 You can treat your furry friend to Nutrish Indoor Complete and save $2! 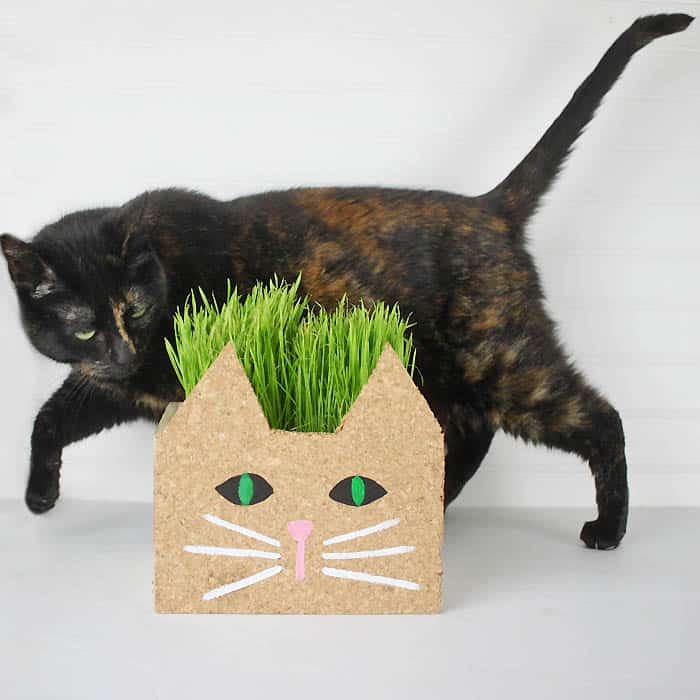 I like to buy the wheatgrass plants at the pet store as a way to balance out my cat’s diet and give them some entertainment. 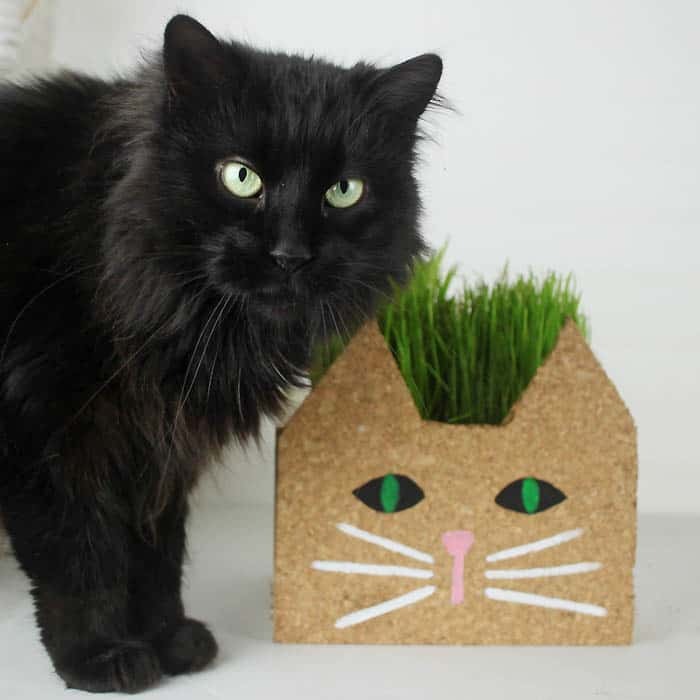 The wheatgrass comes in plastic containers that the cats are always knocking over, so I wanted to make something sturdier…and cuter, of course! 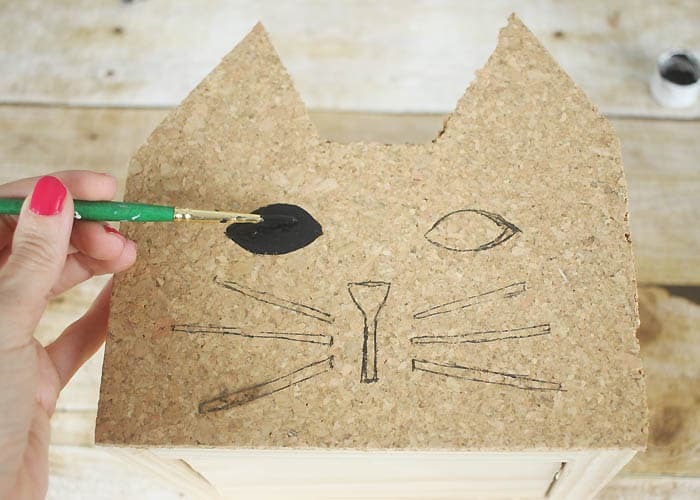 Enter this DIY Cat Planter! 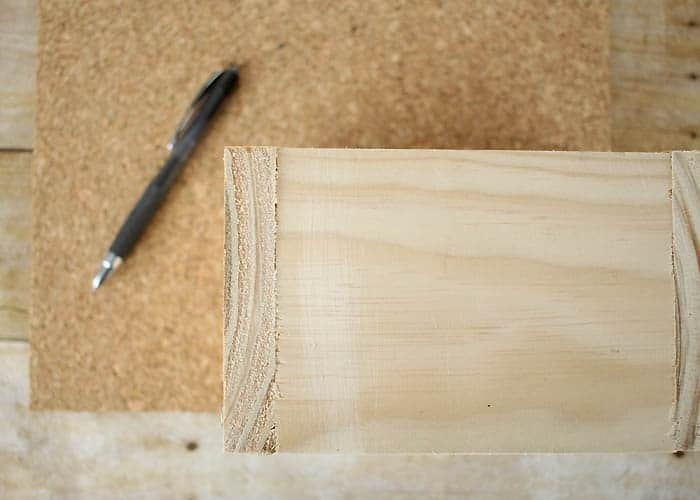 Secure 2 pieces of board together with the corner clamp. Each side will have 2 screws. 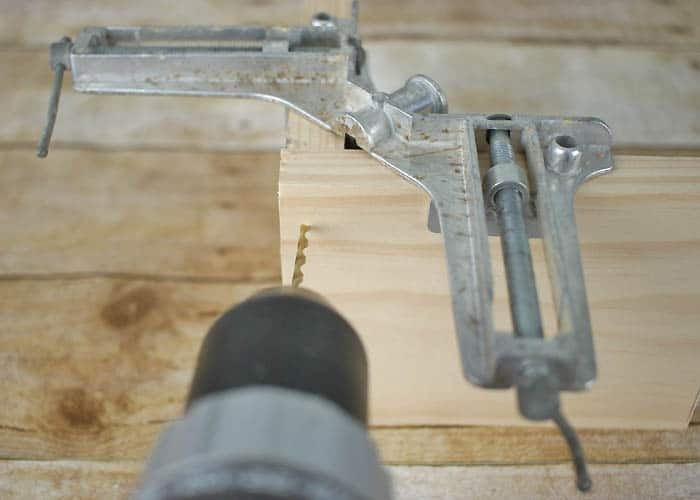 Drill a pilot hole for each screw. 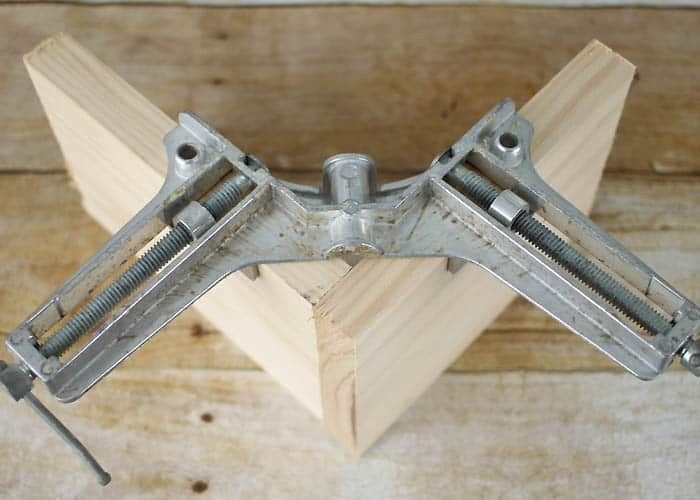 This makes screwing the screws in easier and you won’t split the wood. Repeat the above steps until you have the 4 sides of the box screwed together. 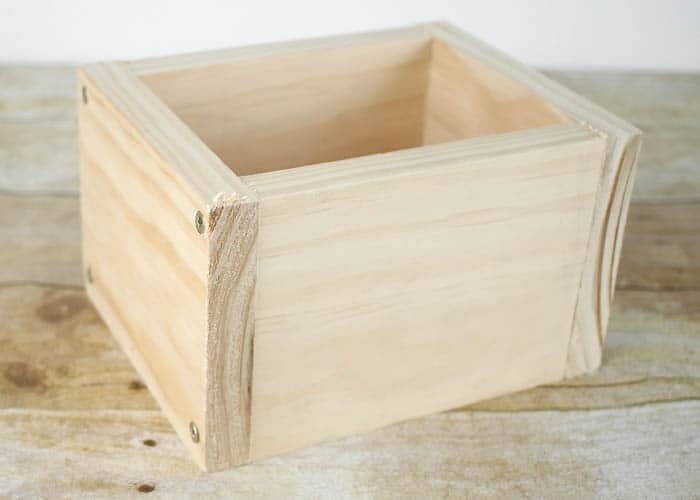 Place the 5th piece of wood on the bottom. It should fit snugly inside. Screw in place on the sides. 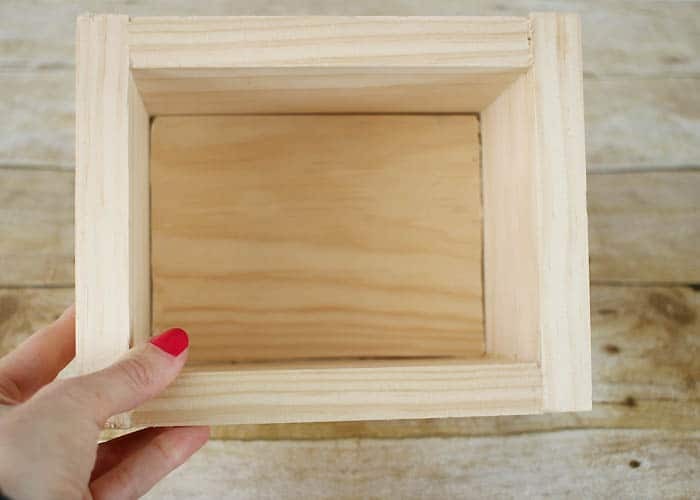 Place the wood box on top of the cork tile. Place it at the corner of the tile so the box lines up with the bottom and side of the tile. Trace along the side and draw cat ears at the top. I used a ruler so the ears would be the same height and the lines would be straight. 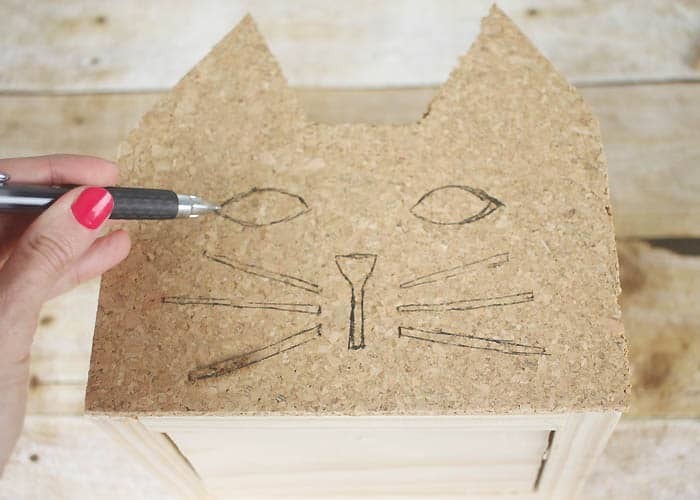 Cut out the cat shape using scissors. 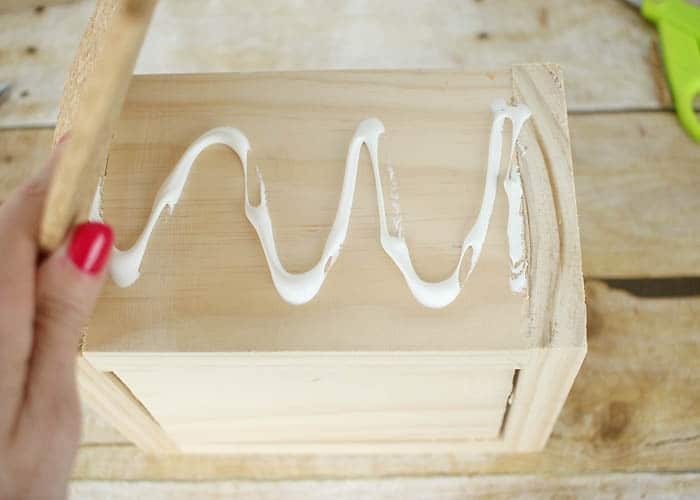 Apply glue to the side of the box and press the cork tile on. Let dry. Draw the cat face on. Using a fine tip paintbrush, paint the eyes, mouth and whiskers. Luna & Cherry are both rescue cats. This is a cause that’s near and dear to my heart. I adopted them were they were just 6 weeks old (they’re not sisters). They have brought so much joy into my life and they’re my constant companions. I make an effort to donate and buy from companies that are dedicated to helping shelter pets as a way to express my gratitude for these little fur balls! 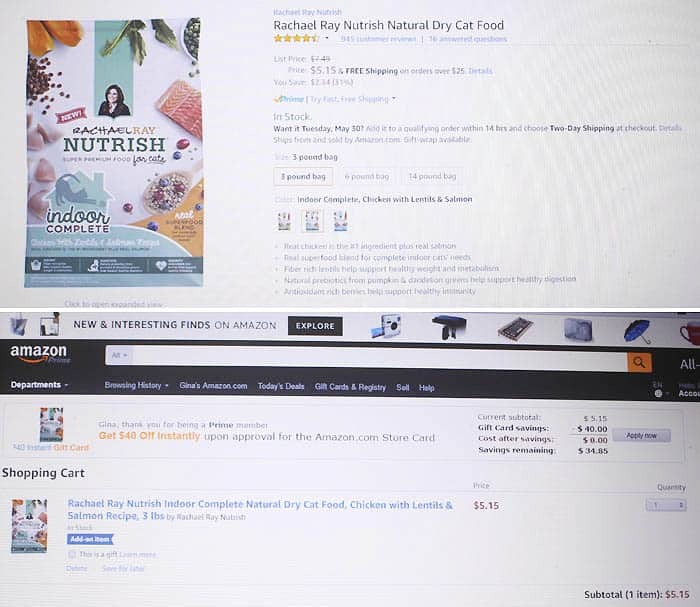 Nutrish Indoor Complete is conveniently available on Amazon. Free shipping as an add-on purchase. Treat your little fur ball without even leaving the house! I'm cat obsessed! I need that planter in my life!